Remember, a project can be short! I call them mini-projects. Projects can be graded or not. Whatever the case, projects should cause the doer to get more engaged and interested in the content. That's the goal anyway. If you try any of these ideas out, please let me know in the comments because I'd love to hear about your results! 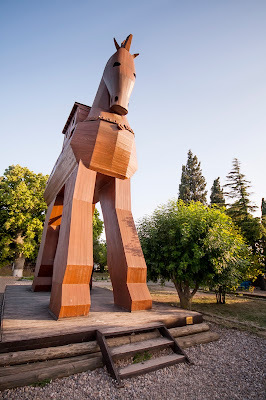 Research the Trojan War and the Trojan Horse. Did it really happen? What evidence is there? Write an essay, give a presentation, make a documentary, or have a debate on it. Assuming the Trojan War happened, imagine you were the Mycenaean Greeks. What are some other things you might have tried to get into Troy? Write out a battle plan for a daring new and daring way to enter the walled city. Don't think the Trojan War happened like Homer said it did? What do you think really happened then? Create a comic book, computer animation, or other demonstration what you think the real story was. Research tricks in wars. What other "tricks" have been used to win a battle or war? How do they compare to the legend of the Trojan Horse? Have a design contest! Each group gets the same materials and same amount of time to build a replica of the Trojan Horse. Groups then judge each others creation and decide which one would have had the best chance of getting the job done. Fun! Remember though - it's just a FRIENDLY competition. Build a model of a Mycenaean city. Build a model of Ancient Troy. Read some Homer. Based on Homer's writings, what characteristics and values do you think were important to the Mycenaeans. 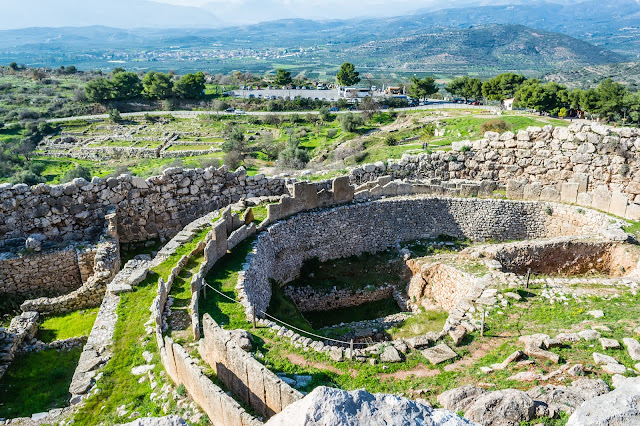 In other words, what can we learn about how the Mycenaeans lived in Homer's stories? Write it up, create a presentation, find a unique way to show what you learned. Study some Minoan and Mycenaean artwork, side by side. Make a Venn diagram or use some other tool for comparing and contrasting the styles of art and what they tell us about the cultures that they came from. Think about the cultures of the Minoans and Mycenaeans. What would a meeting between the two be like? Maybe imagine an Minoan artist meeting a Mycenaean one. Write a dialogue or play and act it out with classmates. What about a meeting between a Minoan and a Mycenaean sailor? Make puppets and do a puppet show. What would a Minoan puppet look like? A Mycenaean one? What would a puppet reenactment of the Trojan War look like? Go crazy! Design a garden for a Minoan and one for a Mycenaean. What types of plants would they have in it? Why? How would they arrange their garden? What would they do in the garden besides garden? Why?